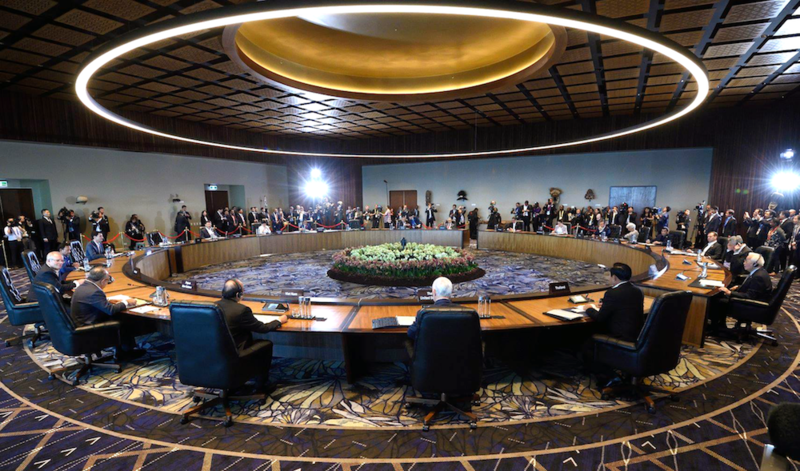 On the 16th – 18th of November, 2018 the APEC 2018 Summit brought together political leaders and high-level CEO’s from the Asia-Pacific to discuss ongoing economic cooperation in the region. 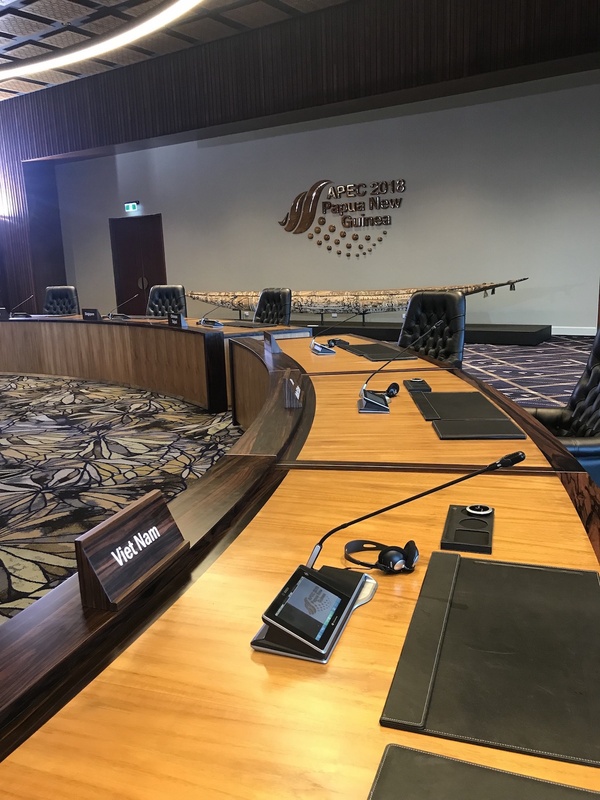 This was the first time that Papua New Guinea hosted APEC, holding various meetings in the newly built APEC Haus and in one of the large theatres aboard one of the cruise liners that housed the delegates. Congress Rental Australia was chosen to support the conference, supplying conference interpreting equipment, conference microphones and vision via HD Dome cameras across both venues. Three high-level meetings took place across the two-day Summit. The first event, The APEC CEO Summit, was held from the 16th – 19th of November on board the cruise liner The Pacific Explorer. 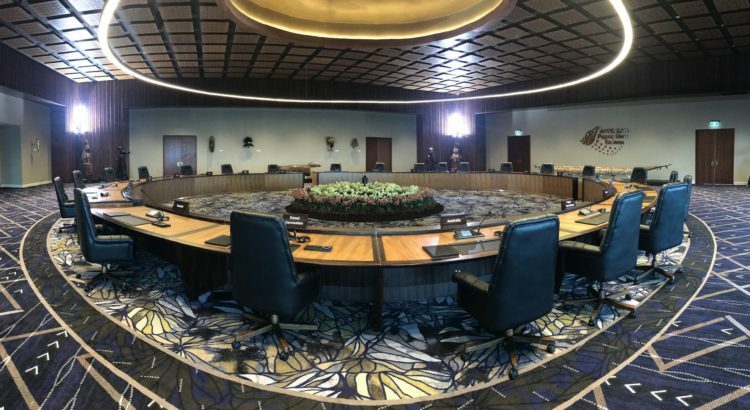 On the 18th of November, The Leader’s Retreat was held at APEC Haus, as well as The Working Lunch which was held after the Retreat. Congress Rental Australia team worked to co-ordinate the interpretation and conference systems for each event across the two days. After six months of planning the logistics and set-up of equipment for each venue, the event was a complete success in both locations. EU-Western Balkans Summit in Sofia!